Workshops are an effective way to experience the benefits of counseling at a reduced investment of time and money. Workshops can also serve as a supplement to current counseling or as a gentle introduction for those curious about counseling. Contact me regarding future dates for this workshop. As the days grow shorter and the do-lists grow longer, stresses and worries can leave you tense and irritable, crowding out the joy and good cheer the holiday season promises to bring. 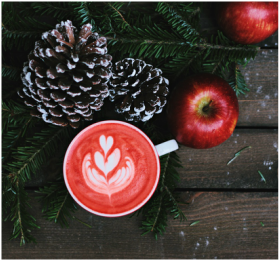 This year, don't let the holiday hustle bustle overwhelm you--give yourself the gift of a greater sense of calm through the knowledge and tools you will receive at this workshop designed to reduce anxious thoughts and feelings. This six-hour experiential intensive course will give you everything to you need to start living anxiety-free. Through a mixture of psychoeducation, practical tools, mindfulness exercises, and discussion you will learn proven ways to take back your life from the grip of fears and worries. Cost is $125 per person and includes all materials. Class size is limited to enhance interaction between facilitator and participants. An optional follow-up consultation session can be purchased within one month of the workshop at a reduced fee of $75. The new year is the perfect time to renew your most important relationship. With the warmth of a fulfilling, happy relationship you can fend of the chill of everyday pressures and stresses. This workshop will enable you to insulate your love today with the knowledge and tools you need to become deeper friends, better communicators, and more supportive partners. This six-hour experiential class will integrate the art and science of love through psychoeducation, practical tools, exercises, and discussion. 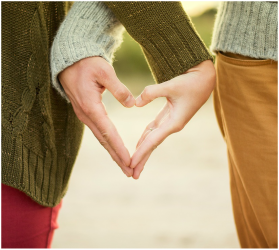 Drawing on the research of couples expert John Gottman, you will learn everything you need to create a more satisfying, more intimate relationship. Cost is $200 per couple and includes all materials. Class size is limited to enhance interaction between facilitator and participants. Yes! I would like more information on workshop registration.